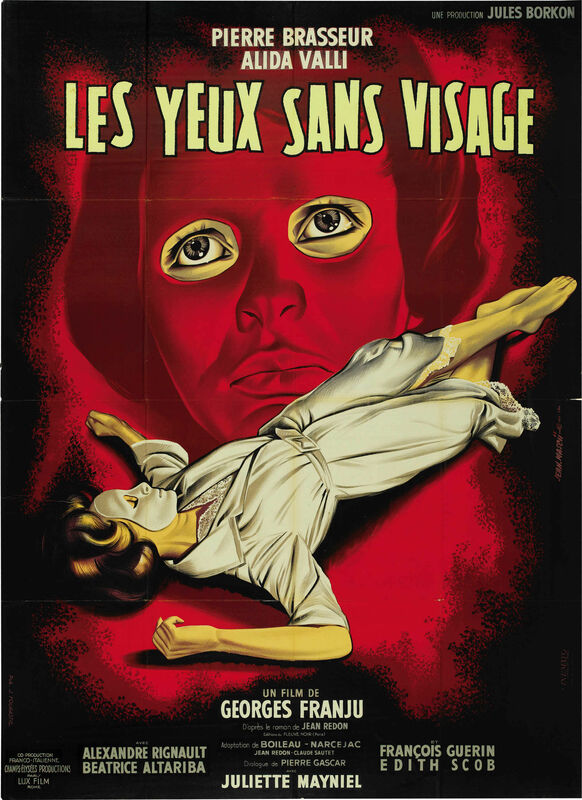 What It’s About: Doctor Genessier (Pierre Brasseur) and his assistant Louise (Alida Valli) kidnap young women. Genessier needs the women for their faces, which he hopes to transplant to his daughter Christiane (Edith Scob), whose own face was destroyed in a car accident. As you might guess, the experiments will not end well…. Why Watch it Today? : The first successful face transplant occurred today in 2005, in France, no less, showing once again that so many things imagined by science fiction as horrific become routine when accomplished in the real world. Eyes Without a Face is a haunting, beautiful horror film, full of striking images, but also scenes of Genessier’s operations. 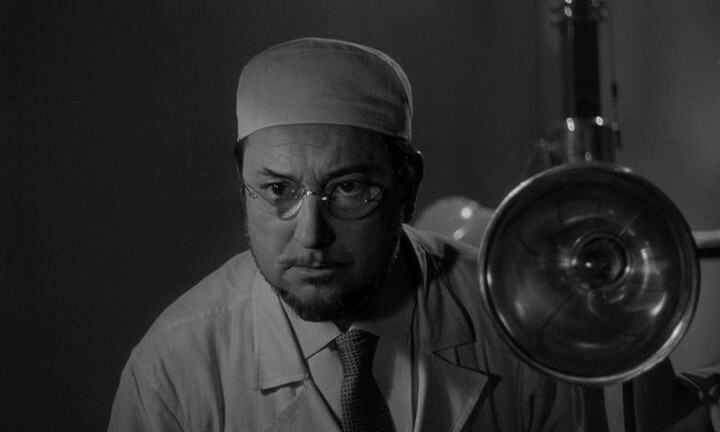 The unexpected international success of the film lead to imitators, including the incredibly sleazy Brain that Wouldn’t Die and a brief vogue for (occasionally real) surgery scenes in mad scientist films. Eyes without a Face stands far above the films it inspired, a unique horror experience. Mo Rating for Movember: We close on another mad scientist with a mad Mo, earning Eyes Without a Face 3 out of 5 Mos. We hope you’ve enjoyed our Mo Ratings and enjoyed your support; please consider donating to the cause here if you are able to. Every good mad scientist should have a Mo. This entry was posted in "Foreign Film", Adaptation, Arthouse, Based on a Book, Black and White, Horror, Mad Scientist, Movie of the Day, The Original, Thriller and tagged Aida Valli, disfigured face, dogs, father, France, Georges Franju, Italy, kidnapping, Lux Film, mask, Maurice Jarre, overbearing father, Pierre Boileau, plastic surgery, surgery. This is one of my favorite movies. Interesting to hear that the realistic surgery scene led to imitators – that was the most excruciating bit of the film for me. The version I watched had Franju’s Blood of the Beasts as an extra feature, also interesting. I forget where I read a write up on the imitators, but I know that Jesus Franco did a couple of them (the name escapes me), and there were films like Dr. Blood’s Coffin and Atom Age Vampire that feature attempts to do similar (I recall reading that some of them used real, not faked, surgery footage, but I can’t recall which ones now). I think it’s another example of imitators missing the point of what was really disturbing and compelling about the original…in most of the films the surgery scenes, real or fake, lack any impact beyond the “eww” factor. Of course, we also live in an age where reality TV shows regularly feature footage of operations, which was not the case when this film came out, so it is a bit understandable that some sought to cash in on the most sensational part of the film. My sister, who is a nurse, and I differ greatly on this point; she will gladly watch real surgery on a documentary that would completely turn my stomach, but usually turns away at the gory parts in a horror film. I should really check out more of Franju’s work, based on this film alone it should be worth the time it takes.